The latest CyanogenMod 10.1 has added one more trick up its sleeve, namely an HDR mode in the stock camera app interface. This would allow almost any rooted Android phone modded with Cyanogen to shoot high dynamic range pictures. The principle here is to combine three photos shot with a full range of exposures on the fly, thus eliminating over- or underexposed photos in tricky lighting situations. The results are, of course, contingent on the HDR software algorithms and the quality of the camera module and image processor, but having the HDR option is one more arrow in the CM 10.1 quiver that might lure you towards modding your Android handset to its full potential. That is the power of open source android. Come on android. 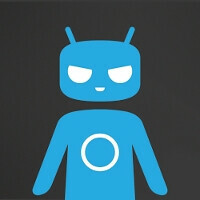 and cheers for the devs @ cyanogenmod for working hard and bring up the new technique..